I have been trying to cut out processed food one small step at a time. We eat salads almost daily so making salad dressing is a great way to cut out some of those preservatives. 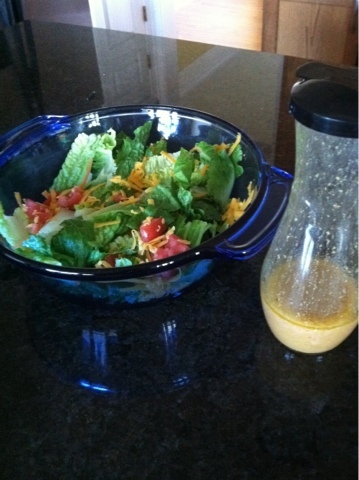 This one is a Dijon vinaigrette. I found a similar recipe on www.food.com and then made a few adjustments.